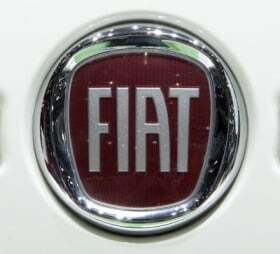 MILAN (Bloomberg) -- Fiat S.p.A. won backing from all but one of its labor unions for a 1 billion-euro ($1.3 billion) plan to revamp its Mirafiori car plant in exchange for labor concessions. All unions except for the Fiom-Cgil federation signed an agreement Thursday in Turin for the factory, Vincenzo Aragona, a Fismic union official, said. Fiom represents 10,000 of Fiat's 83,000 workers in Italy. The Italian carmaker plans to build as many as 280,000 cars and sports-utility vehicles a year for the Jeep and Alfa Romeo brands as part of a joint venture with Chrysler Group at its biggest Italian plant. New Jeep and Alfa models will be ready by the fourth quarter of 2012. Marchionne said he would have preferred that the project had the backing of all labor unions. Five out of six unions at the plant agreed to add working shifts in exchange for wage increases. “It's a historical agreement,” Aragona said. A workers' referendum on the accord will be held next month, he said. “We now need to work on defining a collective agreement specific to the joint venture that will enable workers to transfer to the new Fiat-Chrysler enterprise,” Marchionne said in the statement. Marchionne is proposing to spend 20 billion euros in Italy through 2014 to improve factories and vehicle development in exchange for more labor flexibility and fewer strikes. Fiat wants to increase plant utilization and productivity. “Fiat has a huge productivity gap in Italy,” Mediobanca SpA analyst Massimo Vecchio wrote in a note to clients Nov. 30. Fiat, which acquired a 20 percent stake in Chrysler Group last year, has said it will raise the holding to 25 percent by the first quarter of 2011 and to 35 percent by the end of next year. Marchionne plans to take the U.S. automaker public in the second half of 2011.